Mrs. Violet Moore Carlton, 89, of Pinetops passed away at Wilson Medical Center on Thursday, November 29, 2018. Violet Moore Carlton was born in Edgecombe County and raised on the family farm along with her younger brother Douglas. She graduated from South Edgecombe High School and went on from there to graduate from East Carolina Teacher’s College. She began her teaching career in 1951 in Elizabethtown, NC. On June 14, 1952 she married the love of her life Milton Carlton. Soon afterwards she returned home to teach in the Edgecombe County School system. Violet and Milton adopted a son, Ted on February 27, 1962. She took two years off from teaching to spend time with him before returning to teaching for many years to follow. Her students completed many arts and crafts projects as they studied events and places throughout history. Her students made lighthouse shaped collection boxes and put them in retail outlets to raise money for helping relocate the Cape Hatteras Lighthouse in 1999. Violet enjoyed collecting antiques and bargain hunting on trips to Willamsburg, Virginia and Pennsylvania with her family. She enjoyed spending time with her granddaughter Amanda and taking her to interesting places and special events. Violet looked forward to the special luncheons she had each month with ladies from her graduating class at South Edgecombe. She enjoyed being in the Red Hat Society and attending functions with fellow members. Violet and Milton were both very active in Pinetops Baptist Church for many years. They enjoyed being around their church family and friends. She served as a hospice volunteer and helped raise money for charities and special causes with great frequency. This included delivering meals on wheels with her husband when they were well into their eighties. She was preceded in death by her mother and father Maggie Ellen Trevathan Moore and Joseph Elisha Moore, and her beloved husband Milton Carlton. She is survived by her son Ted and wife Becky Carlton of Wilson; brother Douglas and wife Sylvia Moore of Fountain; granddaughter Amanda Carlton Edwards and husband Brandon from Wilmington; nephews Allen Moore, Joe Moore and Hugh Moore. A Celebration of Violet’s Life will be held on Monday, December 3, 2018 at 2:00 pm at Pinetops Baptist Church with the Rev. Billy Crabtree officiating. The family will receive friends the day of the service at the church from 12:30 pm until service time. The interment will follow in Pineview Cemetery, Pinetops. 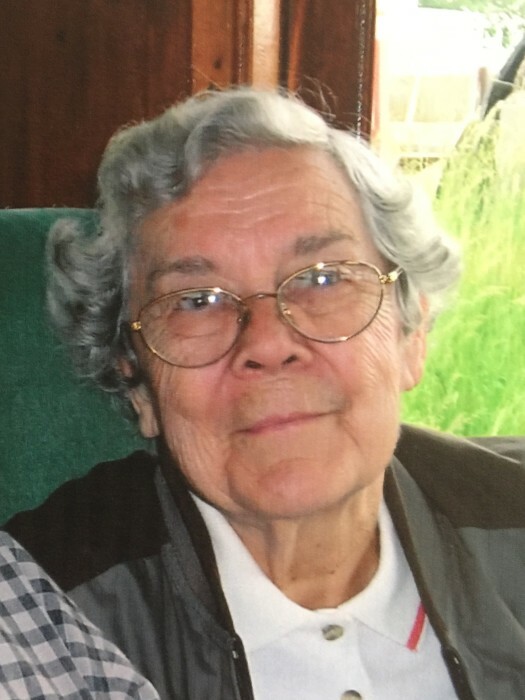 In lieu of flowers memorials may be made to the Pinetops Baptist Church in memory of Violet Carlton.